A truly magnificent, all-encompassing resort, Celtic Manor is more than just a place to play and stay, it is a golfing experience like no other in the UK. With three fantastic championship courses to play, Celtic Manor offers a golf break to remember. The three courses; The Montgomerie, Roman Road and Twenty Ten, are headlined by the world-famous Ryder Cup layout that saw Europe win an epic victory in 2010. Set in the gorgeous Welsh countryside, just across the Bristol Channel, Celtic Manor is easily accessed by car from most of the UK. The accommodations are spectacular, with the 5-star Resort Hotel stealing the show This luxury hotel is the centre of the resort and offers unparalleled levels of comfort and service, boasting six restaurants offering a range of delicious cuisines, numerous bars and two excellent spas. Celtic Manor prides itself on being able to accommodate the needs of every guest and group; check out The Manor House, Coldra Court and The Hunter Lodges for other fantastic accommodation options. "An excellent resort golf course, don't be fooled by its shorter yardage, the Roman Road is a great test for all golfers"
There are not many Robert Trent Jones Senior designed courses in the UK, but Celtic Manor has one and it is a treat. Approaching 20 years of play, the Roman Road Course is mature and challenging, building a rich heritage marked with highlights including the 2005 and 2006 Welsh Opens. Expect an undulating test and wonderful views of the valleys around what is arguably the most society friendly of the Celtic Manor trio. A brilliant par 4 that demands two carefully selected and well-executed shots. From an elevated tee players must choose their club wisely, with longer hitters who take driver in danger of running short of fairway. The second shot is played over a gaping chasm to a green some 40 feet below the level of the fairway. Celtic Manor’s connection with Colin Montgomerie began long before he led his European starlets to Ryder Cup victory in 2010; in fact, he puts his name to a championship layout that’s up there with the best UK resort golf courses. Like the Roman Road, there are a few hills to negotiate but the rewards include splendid views around the resort. From 2000 to 2004, the Monty welcomed the Tour’s best for the Welsh Open. This spectacular par 5 featured in our list of "Five holes you must play in 2014" and is arguably the best on the entire resort. Despite measuring a hefty 609 yards from the tips, the second half of the tree-lined hole plunges steeply downhill, making the green an inviting target to reach in two shots. Magnificent vistas over the Usk Valley and Twenty Ten course make the hole as scenically dramatic as it is challenging. The Ryder Cup was a new dawn for Welsh golf and the addition of The Twenty Ten Course launched Celtic Manor into the world’s golfing elite. That the course held up so strongly to the almighty deluge during Ryder Cup week is testament to the quality of its design and construction. Visit now, and you will be welcome to manicured fairways and lightning fast greens that mark The Twenty Ten as a genuine tournament standard experience. And the experience is as much part of The Twenty Ten as the course itself; meet and greet service, shoe cleaning and access to the Ryder Cup locker rooms will ensure you have a day to remember. Just a few moments from The Twenty Ten Clubhouse is a purpose driving range that allows you to be loose and limber come the first tee, just a part of one of the most luxurious golf resort experiences in the country. This tricky par 4 sums up the Twenty Ten's lake-lined challenge, with two separate bodies of water to negotiate. Players have to choose between either a bold carry with the tee shot or else the approach. Most opt for an iron off the tee to avoid a watery fate to the left; while those brave enough to fly the lake can leave themselves a short, straightforward pitch. The magnificent Celtic Manor resort is host to two hotels, and as a result, can cater to the demands of all those who visit for a golf break. The luxurious Resort Hotel is a top-class modern facility, whose 330 guest rooms are elegantly appointed and tastefully decorated, and the modern amenities are well complemented by traditional comfort. For a special occasion, choose one of the individually designed suites, or even a Presidential Suite, one of which boasts a baby grand piano. The Resort is home to an array of restaurants, including the superb Crown for fine dining, the Olive Tree and Merlins Bar. The Forum Health Club and Spa is an extremely exclusive facility, which offers the best in luxury leisure. The superb changing rooms each include their own steam room, jacuzzi, sauna and plunge pool, while the gym has 54 workstations, a dance studio, 20-metre infinity pool and a specialised children's club. The award-winning Forum Spa offers the latest in health and beauty therapy in its 16 treatment rooms, including Rasul Mud Ritual and hot stone massage. The menu in The Crown fine dining restaurant is so impressive that Michelin star chef Jean-Christophe Novelli has endorsed it. Merlins Bar offers delicious food from its bar menu and is a relaxing and stylish place to unwind and spend your evenings following a round of golf on one of the three stunning golf courses. I T system down. Had 45 minutes wait before we had access to the room which had been recently refurbished although surprisingly had no drawers and inadequate room for clothing other than hanging room. We therefore used our case! Should not have to do that. Walls were thin and obvious noise levels intruded, of an amorous nature, into the night! We prepaid for our evening meals through you only to be told they had not received the money. I provided documentation as proof but 3 times we were challenged and even then the final bill included one meal for two at £77. Crazy. Eventually they got it right. Fantastic double twin suite. Very comfortable, large bathrooms. Facilities fantastic in the hotel, great choice in the breakfast menu, and plenty of restaurants to choose from, or Merlin's bar for a quiet beer and a snack. Staff very polite, and extremely helpful. This is my 6th time back at this resort, and standards are still very high. The experience that my son and I had was exceptional. Quite old fashioned decor. Hotel huge so very busy. We had a fabulous time at Celtic Manor, the facilities are fantastic. Spa facilities were second to none and so relaxing including all the treatments i had while we were there. Would certainly return in the future. Very expensive and we ate in the Rib Smokehouse and Grill restaurant and this was very pricey for 4 of us. Service was very slow at the merlin bar as well and people kept jumping in to be served! We went as couples and ended up having to have single beds again after we asked for a double bed and nothing was done. All in all a below average stay for a supposed luxury resort. Very large complex- evening buffet in Olive Tree average - breakfast better but wouldn't want to eat there when busy- cafe like experience. We had a lovely golf break very helpful staff especially a lovely lady called Lin who was serving us with tea and coffee at breakfast, the hotel room was comfortable with wide reaching views over the golf course. The courses were in great condition, although the price of the golf carts were very expensive at £38 a day. You get a very small taste of what it must be like being a tour pro when you play The Twenty Ten course. Great hosts at the Celtic Manor. Couldn't find fault anywhere. My Caddy Tip - "Always club up as the wind is deceiving." I would go back without hesitation, good hotel even if you are not golfing. You are very well looked after, buggies loaded up and waiting for you. The course is amazing with fabulous views and spectacular holes, especially the ones over the gorges (take plenty of balls). The only downside is that if you go in winter not all the restaurants are open. My Caddy Tip - "Take care on the steep slopes." 9th hole was my favourite. Amazing stay which was made by the staff. They could not do enough for you. Hotel was very good, with the best breakfast you could wish for. Courses were wet but still played well. The whole 2010 experience is very special and I'd recommend it to anyone who loves their golf. My Caddy Tip - "Check the distance, pick your club, then take one longer." Played 2 courses. There is a great curry restaurant down the road from the hotel. Trying to get a foursome for next year. My Caddy Tip - "Keep your head still and don't try to hit the ball too hard." Throughout the whole course I was left with a long second shot and there was always an obstacle of either a bunker or water hazard to overcome. However, a great place nonetheless. It was great playing the 2010 (Ryder Cup) course. Great course; great food (and cocktails) on the night we stayed; great advice from the staff ("don't bother with a buggy on the 2010 course as only the last few holes involve climbs") - in other words just great! My Caddy Tip - "Use a distance measuring device, some of the shots are further than they look." Lovely hotel, but we were let down by the weather, so slightly disappointed. All very enjoyable and I will be going back again and again. My Caddy Tip - "Enjoy your golf." Could not stay on site and had to go to the hotel outside the complex, double booked. The courses were flooded, should have been closed. Unfortunately could not finish the golf trip. My Caddy Tip - "Keep it on the fairway." Preferred the Montgomerie course. It was great fun to play but I would have a buggy next time as there are some long walks between holes. Manor house was very nice but the food was not good and the drinks very expensive. My Caddy Tip - "If you are on the wrong side of the hole on the Montgomerie course 3 putts can be a good result." Love the whole 2010 experience. Imagine the crowds are there during every shot. It's fantastic. Birdie the eighteenth to win like McDowell. Relax in one of the most stunning hotels in Wales. Great food great beer great prices. My Caddy Tip - "Check out Gareth Edwards playing 2010 on YouTube." Hotel was spot on. The Montgomerie Course had some great views, particularly the par 4 hole that plays directly down hill. The 2010 experience is a must, It's like playing a different resort. The Manor House is fine for an overnight stay but the 5 star hotel is the one. My Caddy Tip - "Aim for the bunkers as unless you hit long you won't reach them, but you will be pointed in the right direction." Had a great two day break. Loved the hotel- in particular, the lovely spa and pool and the delicious breakfast in the morning. Played the Montgomerie and Roman Road on two glorious February days. I particularly liked the Montgomerie, it had beautiful views, was well kept and the par 5 hole 3 was a delight. My Caddy Tip - "Drive straight." Fantastic hotel, spa and golf course. What more can you need. A well run resort with a fabulous range of three very different courses, combined with an excellent hotel, good food and very professional staff. What more could anyone want? Even the weather was kind to us. My Caddy Tip - "Pay attention to distance and direction of second shots. There are some hidden changes of direction and slopes on the fairways as well as challenging bunkers on all three courses." My Caddy Tip - "Read the greens, choose a 3 wood or driver"
First time playing the 2010 course and the raised greens with 'run-offs' got me a few times! Will play again and score better hopefully. 5* service all around. Had evening meal at clubhouse- fantastic food. We will be back! My Caddy Tip - "On your approach shot, treat the breaks on the raised greens with the greatest respect." All holes have their own characteristics, so no real complaints about the course. My Caddy Tip - "Always hit the the center of the greens and take the two putts." The twenty ten course for me. Every hole is a challenge, you have to be as straight as possible and try to keep it on the fairway. Hotel was excellent and we were we'll looked after. The food was very nice. 24 of us went and no one complained and we have some moaners in our group. My Caddy Tip - "Hit more club than you think." Grand entrance with an excellent meet and greet team. My Caddy Tip - "Practice your driving as you need to be straight on most holes." My favourite hole would be the 3rd, the views are outstanding. Hotel and food, as you can imagine were stunning. Was woken at 6am by loud banging. My room was next to maintenance. Food staff were awful at breakfast and at the spike bar. Did complain to reception on leaving, they didn't want to be there. A shame because the golf staff and courses were excellent. My Caddy Tip - "Bring a yardage measurer and camera for the views." Everything was superb, especially the way all the staff look after you. A real experience. Have been back twice since. Hotel great, the Monty course was to hilly. Golf was great but several issues with the 5* hotel. My Caddy Tip - "Practice putting before going on course." Top place to play and stay. Fantastic courses. My Caddy Tip - "Lay up on 18 it's further than you think." Played the Montgomerie and the 2010 Course, the latter something special. Hotel was good, breakfast and dinner very nice. Staff at hotel and at Golf venues were excellent. Played all three courses, support from all the staff was very good, and it was very good value. All of the courses were very enjoyable. My Caddy Tip - "Keep on the fairway." Course was lovely, 2010 course was outstanding. My Caddy Tip - "Make sure you get it on the hole." Courses wonderful but extremely wet and we were surprised they were open. Greens were fantastic and very fast. Fantastic reception at the 2010 clubhouse. Celtic Manor hotel was very good but restaurants were very quiet which spoiled the atmosphere. My Caddy Tip - "Take more club for each shot." My Caddy Tip - "Practice your driving, you need to be straight on most holes." 1st hole on 2010 was very nerve racking but brilliant at the same time, pictures by a professional photographer on the 1st tee while taking your shot was awesome. My advise for anyone who wants to play there is to get a course planner out of the pro shop, as this will save you shots. Hotel was second to none, fantastic 5*. Spa was also amazing, food was great, beer was pricey in the main bar but there is a sports bar on the complex which was a great little find that also does food. My Caddy Tip - "Attack the greens as they stick when they hit." Hotel was great. Food options were also great. 2010 course is a must. Superb 18 holes. My Caddy Tip - "Just enjoy it." I had a great break with 3 friends. Golf, hotel and food was excellent. Hotel fantastic. I recommend hiring a buggy as the courses are long with big gaps to next tees. My Caddy Tip - "Play to your strengths." Playing the 17th par 3 on the 2010 course was a great experience as was remembering G Mac closing out the winning score of the 2010 Ryder Cup. Still feel the excitement of it today and every time we return to the Celtic Manor. Must try the fish and chips in the bar area after a round. My Caddy Tip - "On 18th on the 2010 ensure you aim left of the green and get it there." Didn't really have any favourite holes. I know it was early in the year (mid march), but the course was quite waterlogged. Even though the month before was quite dry, I don't feel a urge to re-visit. The hotel was fine, all staff were friendly and very helpful. My only tip is "If you think a 6 iron is needed, use a 5". My Caddy Tip - "Use a higher iron, distance is deceptive"
Played Montgomerie and Roman Road courses with this year being our 4th consecutive year and the quality of the courses was better than ever. Have played the 2010 course twice already and whilst more expensive it is worth trying at least once for a great experience on a very tough course. The 2 we played are still a real test of skill, especially the greens which were lightening quick and if you're in the rough it would usually mean a lost ball, even when quite close to the fairways. The views on the course are fantastic and at this time of year it was fairly quiet so plenty of time to enjoy the round and not feel rushed by following groups. The resort hotel is excellent, although drinks and food expensive - but it is a 5 star hotel. If open, try the cellar bar where they have happy hour sometimes and a decent value menu - sports screens all around, a pool table and darts board. Unfortunately when we went the french rugby team had secured the venue and other parts of the hotel for their own private use. This was not advised to us at the time of booking and was a great disappointment. The hotel staff were clearly embarrassed and apologised profusely, and it was obvious they were fed up with having to apologise over and over again to every visitor to this bar and restaurant. My Caddy Tip - "Very fast greens." Resort hotel excellent. Would prefer to play 2010 course next time however. The Roman Road course did not flow, but enjoyed the Montgomerie! My Caddy Tip - "Play percentage shots"
I played the 2010 and the rough was like a hay field, not fun. My Caddy Tip - "Buy a course guide." Superb facilities with 2 brilliant courses. Get a buggy for the Montgomery course as it is extremely hilly. You are made to feel special by all the hotel and golf staff. Extremely good value for what you get, already thinking about returning. Food was superb too. My Caddy Tip - "Play to your ability, don't bite off more then you can chew as these courses can spit you out." Golf, rooms, food all excellent. Only downside was that buggies have to stay on the paths. Played Roman Road and four holes of the Montgomerie and then torrential rain got to us. 2010 is a fantastic golf course. We were a group of mainly single figure handicaps and were allowed to go off back tees. Awesome! Accommodation was great and the welcome and service in the smaller Manor House was far better than the hotel we stayed in on a previous trip. Each time we have travelled a mile down the road to eat at The Bell at Caerleon- excellent little pub restaurant. Call in advance to book and the hospitality is ace. My Caddy Tip - "Walk to the practice ground at 2010 and soak up the atmosphere as you walk down to the 1st tee." Absolutely chucked it down and we had force 8 gale! Played 6 holes on 2010 and were then able to take a rain check and get an adverse weather voucher so we could go back. Went back a year later and got rained off again. Course was in pretty good condition given the amount of rain. "Rivers" through the greens though on Monty course. Another voucher issued, although they didn't cover the full cost and you still have the cost of a buggy that isn't refunded. Good to receive them though. Hotel good. This was a truly first class occasion, for all of our group. The welcome on the 2010 and the day was excellent but it was a true test and no-one came close to their handicap. My Caddy Tip - "Hit straight not long." We enjoyed the hotel and its facilities but playing all three courses on three consecutive days in winter conditions was not a good idea for people of our age. 2010 course too tough for 18 handicap and over, Montgomerie ok. Roman Road was also tough but all the courses were enjoyable. My Caddy Tip - "Play within your limitations." The whole resort is set up to make the average golfer feel special. The Montgomerie course was my favourite, even over the 2010, but all 3 courses are memorable. The hotel and leisure facilities are superb and the food just topped it off. 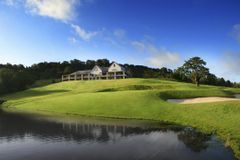 If you are a club golfer looking for the ultimate golfing experience, travel to Celtic Manor, you won't be disappointed. My Caddy Tip - "Think your way around." 2010 is incredible, tough but fair. Both other courses are very good. Nice to have a few beers in the Lodge Cellar Bar, although they need to sort Sky Sport out. Meal in main clubhouse was really good. Breakfast at Lodge had really poor service and quality, but this in no way spoilt the weekend. It's a 'must visit' for all golfers. Great short break playing golf. Would recommend it to anyone's who likes a challenge. Hotel lovely. Food very expensive, but nice. It was an absolutely great place to play golf. Staff are great and the courses are great too. Lovely food and an all round great atmosphere. My Caddy Tip - "Just get the ball round." Played the Roman Rd and the Montgomery which I enjoyed, with the exception of members bombarding us with golf balls whilst on the green. Nothing was done to resolve the problem. The service in the hotel was far short of the 5 star supposed rating- I wrote a detailed complaint about the hotel which included the golfing incident and the overcharging at final billing, none of which were resolved by Celtic Manor. I would recommend anyone to go and play the courses as they and the green keeping staff were excellent and many of the peripheral staff also. Do not however, be fooled by the Hotel 5 star rating as it fell exceedingly short of that rating. It would have been wonderful if Celtic Manor had offered some reparation for the substandard service experienced during my stay that unfortunately destroyed what would have been a very enjoyable golfing break had it not been for the aforementioned unfortunate issues. My Caddy Tip - "Carefully plan your approaches to greens." The food at the hotel was excellent, as was the service. My Caddy Tip - "Take extra care on reading putts. The greens are true, so if you miss it's a miss read." The hotel was fantastic, hospitality was second to none, the only complaint that my party had was the drinks were a bit expensive. Looking forward to venue next year. Tired accommodation. Queues to get out over an hour long as very slow play. Go to the Belfry instead. Played both 2010 and Montgomerie courses. Great feeling just knowing the Ryder Cup was played on the 2010 course and you're walking in the footsteps of the professionals. Little touches made the day special, i.e. your name on the locker in the changing room on the 2010 course. Everything about the hotel was excellent, well maintained, big rooms, clean and tidy, etc. My Caddy Tip - "Hire a buggy for the Montgomerie Course." Course and hotel like it says- 5 star. Very friendly staff. My Caddy Tip - "Practice putting for sure." My tip- if you play the Montgomerie, get a buggy unless you are really fit. My Caddy Tip - "Check yardages as it plays longer than it looks." Enjoyed playing the 2010 but its a long course and it makes you think where to aim and lay up to ensure you hit the greens. The rough can be punishing when it's wet so don't miss the fairways. Everything from the practice range, staff and accommodation was perfect. We also sampled the evening buffet meal option which was exceptional in terms of value, quality and quantity. This venue should be on everyone's to do list. My Caddy Tip - "Greens are true and fair." The 3rd hole on the Monty is good. Get a buggy as it is very hilly. Lovely hotel. Tough to beat for value. My Caddy Tip - "Get a buggy." Hotel is great. All the courses are good, even the less used Roman Road. My Caddy Tip - "Try to keep the ball in play." Let every one enjoy there own experience. Third hole on the Montgomery is brilliant. Celtic Manor is a great venue not only or the golf but also the ambiance of the place- the rooms are clean and tidy, the spa and sauna are well looked after, the food in the restaurant is at a high standard and I just love the breakfast. I would recommend this venue to my friends and family. My Caddy Tip - "Very tight courses and difficult enjoy and drive it straight." Hole 3,16 and 18 were all very good. The grandness of the hotel and surroundings make this a remarkable experience. Go on, treat yourself. You won't regret it. My Caddy Tip - "Use your shots wisely and go for position on greens. Get the wrong side and you're in trouble." The Montgomery was awesome and obviously the 2010 was also great. Roman Road also very good. The Lodge was fantastic. My Caddy Tip - "Montgomerie course gets heavy in the winter"
My Caddy Tip - "Keep it straight." The hotel and food were great. The registration and lack of people to handle the baggage was diabolical. Luggage was left in the foyer unattended while reception staff tried to help. Much prefer the Roman Road course. 2010 is somewhat too difficult for mid to high handicapper, just a long slog. Also, much prefer the Manor Hotel, which is much more homely and comfortable. Rafters Restaurant is a must, particularly for dinner. My Caddy Tip - "Don't get too ambitious off the tee." My Caddy Tip - "Know what you hit yardage wise." Staff very helpful both in golf club and resort hotel. Appreciated adverse weather vouchers to make a return visit having been snowed off. Excellent courses and hotel. Staff brilliant. Superb courses, lovely surroundings, excellent personnel. My Caddy Tip - "Don't be shy to take 1 more club." My Caddy Tip - "Stay in the buggy- huge walk." Montgomerie course was unplayable and marshals admitted this. Despite only being a 3 ball we were behind a junior 4 ball so the round took over 5 hours and wasn't marshaled at all. We werent allowed to upgrade to an empty 2010 course either. Roman road was a very basic course but still a challenge. However, the hotel and the food were fantastic as was the sports bar and happy hour. Buggies ripped leather and tired looking, and was surprised it was still classed as 5 star. My Caddy Tip - "Play the 2010." Superb hotel and facilities, everything catered for. Get a buggy if you play the monty. Really enjoyed our stay at Celtic Manor. Reminded me of a Vegas hotel it was so big! Excellent facilities and a great couple of days despite the terrible weather. It did play ball when playing the 2010 course though, glorious sunshine! Definitely would recommend a buggy for 2010, large distances between green and tee. My Caddy Tip - "Get the buggy, and use the practice facilities at 2010 course." Hotel was fantastic (as per other members in the party). The hosts were brilliant- looked after our needs and also provided separate room for the presentations etc. Sadly I had to leave early as my father was taken ill. The Ryder Cup course at the time played is overpriced and over-rated, living very much on its history. I'd never go there again at this time of year, if ever. There is just too much foot traffic when it's damp, I can't remember bumpier greens at any other championship course. My Caddy Tip - "Expect to miss a load of putts, anything you hole is a bonus." Excellent hotel and courses in excellent condition providing a real test. My Caddy Tip - "Keep the ball in the fairway." Wet, wet and wet. Puddles on greens. Should have been closed in all honesty. My Caddy Tip - "Take an umbrella." I've been here a few times with large groups, couples and corporates, each time I visit The Celtic Manor I'm always impressed by the service and quality of product. The Roman Road and Montgomerie are decent courses in their own right and well worth a round, especially if you have a mix of handicaps in your group. Off the back tees they are a real challenge and you have to play well to get 36 points. The Twenty Ten experience is as they bill it, an experience. You are made to feel very special as you make your way into the grand clubhouse and get yourself ready to take on the course. The lockers have the Ryder Cup players from 2010 on them so you can have the likes of Rory, Tiger etc as past users of it. The course itself is a real championship layout with a mix of length and strategy needed to get your way round it. Off the tee it is quite demanding with long tee shots needed to make headway on holes like 2, 4 and 8. The closing stretch of 15, 16, 17 and 18 are as fun a 4 holes as you'll get to finish your round. Have a go at 15 to drive it in 1, do a McDowell on 16 and hole a putt for birdie, duff a chip like Mahan on 17 and err hit in the water on 18 like me. Hotel is nice, bars are good (Merlins or the Cellar Bar at the Manor House) and there are plenty of different restaurants to suit whatever your group wants. All in all, Celtic Manor is hard to beat in terms of a UK golf break. My Caddy Tip - "Keep it in play on all the courses, on the fairway is a lot better than being in the rough!" Favourite hole was the 18th on the 2010 course. Three top quality courses which were a pleasure to play. I would definitely recommend to individuals or groups. My Caddy Tip - "Use driver on 10 as is easier shot." Golf courses pretty good, hotel average. My Caddy Tip - "Grip it and rip it." Playing on the Ryder cup 2010 course was a superb experience. The course itself is a must for anyone wishing to play on top professional courses, with the added advantage of not being overly difficult if found in decent conditions. There are a few very interesting holes that require thoughtful play, with the 18th a particular highlight. Looking forward to going back and experiencing it again next year! My Caddy Tip - "Fairways are crucial, if you get in the thick stuff, don't get too greedy coming out." Montgomerie was my favourite course. Prepare for the length of the 2010. Hotel was very comfortable. My Caddy Tip - "Just go out and enjoy it, round goes quick." The hotel could have told us that they do trips to the course, etc instead of having to drive and walk. My Caddy Tip - "Take your time." Have visited several times over the last few years and love everything about Celtic Manor, from the courses, hotel and facilities...as well as extremely good service and food. My Caddy Tip - "Practice a lot before taking on the 2010." Take a buggy as it's a long course. The hotel was first class. We loved spending time there. Good courses spoiled by slow play and not allowing enough space for each game, hotel comfortable and good food. A must for all golfers, shame its in wales or I would play again, maybe one day. My Caddy Tip - "Try not to kill the photographer on the first!" Fabulous courses, superb hotel, only spoilt by the torrential rain which meant both rounds were not finished. My Caddy Tip - "Take one club extra." Enjoyed both courses we played. You really do need a buggy. Hotel very good, but food on the expensive side. My Caddy Tip - "Just enjoy yourself." We had a party of 8 of us over 3 days and played the Montgomerie and Roman Road courses. Both were excellent, even in winter conditions. We had a real mix of handicaps but everyone found the courses to suit all levels. Really enjoyed both courses with some stunning views from the par 5 third hole on the Monty course. The hotel and clubhouse are superb and you really cant fault it for value for money. The stewards around the course also made you feel really welcome. Have been back on a number of occasions and it always feels special. Hotel is brilliant. No standout holes on courses as they are all are simply amazing. My Caddy Tip - "Play safe." Perfect in every way. Great facilities, venue and 3 beautiful courses. Notably a place to entertain your family while you play golf. Caters for everyone. My Caddy Tip - "Bring your waterproofs!" Great course and hotel which we return to every year. The staff are always accommodating and the course's are always in great condition. I would recommend to anyone and we will be back next year. My Caddy Tip - "Practice prior." Take care on greens they are quick. Take your time and get a stroke saver for shapes and distances on holes. My Caddy Tip - "There are a lot of holes where I found that a driver or even a 3 wood was too long." Fantastic hotel. I played the 2010 and the Montgomerie courses, no holes were the same and they were all excellent. My Caddy Tip - "Play to your yardage and go for the middle of the green, not at the pin." My top tip is to pay the extra and play the 2010 course. There are no disappointments on any of the 3 courses. The staff went that extra mile to make our stay fantastic. Get it on your bucket list. My Caddy Tip - "Take good notice of the indexes and don't bite off more than you can chew." Hotel was fine but the staff were a bit moody in the downstairs bar. Monty and 2010 both have some superb holes. Top tip- take plenty of balls. My Caddy Tip - "Play within yourself and take plenty of club." I have been to Celtic Manor 3 times in small groups and think it is the best value for money resort. The staff go above the expected standard of service, the rooms are more than comfortable and the hotel is very restful and comfortable. All 3 courses are challenging to the average golfer but I would not recommend a buggy, more trouble than worth as you have to stick to the paths and end up walking further. The hills on the Monty are very challenging for the not so fit. Going back next week. My Caddy Tip - "Take your wet weather gear." The whole place is the real deal, just fantastic. My Caddy Tip - "Look at the greens on approach." Really enjoyed all three golf courses. However the service and the staff were poor. 2. Lost golf towel while our clubs were in their care and they did not seem the care and only replaced it after 2 days and a long conversation with the manager. 3. Due to the golf round taking longer than expected we missed our dinner reservation and was told we could only eat at the bar as they were serving food until 9 pm. When we got to the bar at 8:15 pm we were told that they could not serve us any food and we had to order room service. This was not acceptable. 4. Despite booking and having been confirmed as a twin room we were given a double which had to be changed. 5. We were told check-in was at 12 am and 2 pm and when we got there they told us we would have to wait until 5 pm. 6. We had booked a buggy for all rounds of golf. We were told they would cost £32 when we booked these over the phone. However, we paid different prices each day. £30 the first, £34 the second and £36 the third. Inconsistent. they did not seem the care and only replaced it after 2 days and a long conversation with the manager. This is a must for any golfer. Fairways are long off the tee so you need to clear 200 yards from the yellows. Hire a buggy as the walking between holes is excessive, but the fairways and greens are amazing. The hotel itself is stunning and the choice of food overwhelming. You must play here at least once. The courses are a decent test and in my opinion, very fun to play. The clubhouses are classy and relaxed. The hotel is superb and the service within the hotel is fantastic. My Caddy Tip - "Adjust clubs for elevation"
Great venue, the 2010 course is stunning. The room was lovely but they could up the food standards. For a hotel of this caliber the buffets were not first class and I would prefer waiter service and a proper dining room. The courses were lovely but had tracks for the buggy's which then meant taking clubs over to where the ball was. This was not ideal at all. We tried trolleys but again getting from the greens back onto the tracks was really difficult. My Caddy Tip - "Watch the slopes up to the greens on the Montgomerie." Probably the worst venue I've been too. I liked the Par 5 3rd hole on the Montgomerie, as well as the 18th on the 2010 but generally speaking found the holes on the 2010 with water to be the most challenging. A tip for first timers would be to have a buggy on the Montgomerie. We had buggies on the 2010 but not on the Montgomerie and it would have been better the other way around. My Caddy Tip - "Take plenty of balls "
Hotel was great, played two courses and would like to go back to play the 2010. My Caddy Tip - "Don't use a buggy." Some stunning holes, can't remember which ones as there was so many. The quality of all the courses make you feel like a professional playing them. Total wash out. Service not as good as last time. Golf and hotel were good. Food was poor for a 4 star rest/hotel. Have been to lesser high profiled places, which knock Celtic Manor into a cocked hat. My Caddy Tip - "Don't be afraid to take one club more if necessary." Great Hotel (the main Celtic Manor Hotel). Everything was fabulous- food, service, rooms, etc. However, our trip was spoiled by putting two non-golfers to play with my partner and myself (we play off 13 & 17). This ruined our whole day. I suggested to the pro shop that they should at least ask people of similar handicaps to play together, but the two people had no idea at all. We felt we were holding the whole course up. These two hackers should not have been playing the Montgomerie Course at all, they must have lost about 20 balls each. No fun for us. Long walk to have food but worth it when we arrived. My Caddy Tip - "Practice putting." I took a party of 44 to Celtic Manor in June 2012 and could not fault the accommodation, golf courses and food. My Caddy Tip - "Book early and play quickly"
Superbly maintained golf courses. Greens good but tricky. Rooms excellent. Possibly would not return as the air conditioning in public rooms is most uncomfortable. Food cools far too quickly as a result. What a place to play golf. Everything you need. The 2010 course is absolutely superb but very difficult from 11 to 14. Roman Road should not be taken lightly also and is particularly tough on the legs. Will definitely be going back. The staff working there, both in the hotel and on the golf course cannot help enough. Fantastic. My Caddy Tip - "Watch out for holes 11 to 14 on the 2010. Lots of water and tight fairways." Excellent customer service by all staff at the Manor. Courses in good nick &very challenging, try to play in Summer months without the wind. A must visit place for all keen Golfers. My Caddy Tip - "Allow for the wind." Course in good condition. Confusing price structure- I received a special offer golf price via email but no one knew about it and it took ages to resolve. I went to Celtic Manor with some friends. While there we played only 9 holes of golf but enjoyed it. The deal I was offered included bed, breakfast and evening meal. The food was excellent. The room was large and in the Manor. The whole place was very busy even though it was mid week and not in school holidays. Staff were always very helpful and friendly. Overall a fantastic resort. Service in all areas was exceptional. Have already booked for next year. My Caddy Tip - "Use a buggy for the Montgomerie." The Manor house was terrific. Particularly liked the Cellar Bar and happy hour. The breakfast was superb and the staff couldn't do enough to ensure a comfortable stay. We played The Montgomerie Course and The Roman Road and the Monty was my favourite. Fantastic deal and all made easy by YGT. The hotel was great. I prefer Roman Road to Montgomerie. 18 hole was a great finish. Venue is one of the best I've been too, and despite it being a three hour drive I've played here for the last three years, once a year. My Caddy Tip - "Keep it on the fairway at all costs." 3 great courses and each one was a tough test of golf for different reasons. The hotel (manor house) rooms were everything you'd expect of a 4* hotel. My Caddy Tip - "Due to the amount of bunkers on the 2010 course being in the landing area of shots off the tee I would suggest clubbing down where you feel it calls for it. Then you are in a much better position to play your 2nd shots over these bunkers." I like all of the holes. Probably be back but playing 2 courses in 2 days in mid summer was tough going for me so I need to plan better next time. The 14th was my favourite hole. My Caddy Tip - "Enjoy the experience." The main hotel was great, although the Manor was a bit tired with a few loud mouthed people in the bar there. The 2010 course was brilliant despite the excessive rain which filled the bunkers with water. We did swear that we'd go back and play it in better weather (if possible). Nice courses, bit of a hassle only driving on pathways with buggies. It slows games down. My Caddy Tip - "Check distances." I enjoyed the whole experience. The golf, our meal at the hotel and the accommodation all made the trip an enjoyable birthday treat. Roman road and Montgomerie courses both have some great holes and some great views. I would recommend a buggy as the walk between some holes is quite long. Would like to have played the 2010 course but it was a bit pricey. Celtic Manor is a great venue with top courses for a two/three day trip with everything on site for your group. 2010 course is tough but fair- high and low handicappers can all play it. Your ability determines how many balls you lose. I would go back. My Caddy Tip - "Be aggressive." All holes are good but take plenty of club on par three's. Hotel was first class and well presented. My Caddy Tip - "Make sure you have a practice round and take notes." Montgomerie was tougher than 2010. Enjoyed the dinner out facility with the courtesy coach ride. Hotel bedrooms were excellent. Less impressed with The Vale and would look for alternatives. My Caddy Tip - "Hit the fairways." The 14th hole on the Twenty Ten was fantastic. Hotel is excellent. One of the best courses in the UK. The hotel and restaurants are fabulous as well. My Caddy Tip - "Take plenty of balls." Courses were in great condition despite the poor weather. The hotel was first class and served an excellent breakfast. The 2010 is a must play for any golfer whatever their handicap. My Caddy Tip - "Watch out for the speed of the greens and attack them with your short irons." Hotel and staff were exceptional, food and service outstanding. We played on all three courses, the marquee course being 2010. However, all three are fantastic courses and I personally found the Roman Road to be the most challenging. The Montgomerie and Roman Road start from the main club house, views on the Montgomerie are fantastic though the course involves a lot of very steep hills. The Roman Road is a lovely course and the holes offer much variety but everyone wants the 2010, which surprisingly for the shorter hitting and higher handicaps proved very forgiving. My Caddy Tip - "Go for it, don't hold back and have fun." My Caddy Tip - "Use a buggy." Beautiful course and layout, enjoyed the challenge. Stay on the fairways on the Roman Road course. The Montgomerie has some great holes and views especially on the 3rd. A buggy is a must to make the most of your day. Excellent stewarding as they kept us aware of an imminent storm and made sure we got round ahead of it. Overall, a great day of golf. My Caddy Tip - "Be prepared to use every club in your bag." Need a buggy on the Montgomery course. Great facility for all standards of golf. Hotel standards achieve customer delight. Although the food and beverages might appear expensive the overall package is good value for money and we will be returning asap. My Caddy Tip - "Play within yourself." The hotel was great. The staff were very friendly & helpful, walking down the eighteenth. Don't get buggy's as they are not allowed on the course and you have to stick to path so there is a lot of walking. My Caddy Tip - "Just enjoy the moment." 15th, 16th, 17th and 18th all brilliant holes. Where possible take your time and think your way round. Hotel was very good. Expensive drinks and food in hotel. Clubhouse and Pro Shop great location. Playing 2010 course should be on any golfers bucket list. All of the holes were very good on the Celtic Manor 2010 course. I would recommend golfers to play this course at least once, and after once you would want to play it again. The hotel was superb and the room I had was for just myself and it was fantastic. Spa and pool was beautiful. The only one downside to it was they take £50 on your credit card card for incidentals. They charged me more money for my evening meal than I should have paid because they said I should have paid for the evening meal on line, even though I had confirmation that I would be charged less which was on my invoice from yourgolf travel. My Caddy Tip - "17th is a fantastic par 3, a 3 wood is definitely is recommended." I got a hole in one on a par 3 and won opportunity to play again on Montgomery/Roman Road. Good value for money, excellent helpful staff and a trio of fantastic well-cared-for courses. A joy to visit and experience where a Ryder Cup was played. My Caddy Tip - "Use a distance measuring device"
Courses are very nice, would recommend buggy for the Montgomery. Resort hotel, facilities and restaurant were excellent. Great courses, looking forward to playing the 2010. Can't really remember very much because it was 5 years ago. Sorry. My Caddy Tip - "Hotel and organisation impersonal and unfriendly"
Would love to go back on a sunny day. Lovely course and friendly staff at the venue. Would highly recommend the associated restaurant on the Usk, amazing. Pool was disappointing, as no where near as big as the images portrayed. Top hotel, been there many times. Little peeved to have to pay for parking in a hotel now as a resident. The food was exceptional and I found both club houses relaxing, well stocked and with genuine staff to help your every need. My Caddy Tip - "Don't go off the fairway on 2010, it's punishing." The hotel was very busy and the service was poor. The food was also disappointing. Enjoyed playing all 3 courses with my son and this was a great experience that we shared together. The 2010 course was a fantastic experience but we also very much enjoyed the Montgomery and Roman Road course. The greens are true and a lot faster than we are used to. The driving range is also great as is the accommodation. All the staff we interacted with were friendly and helpful which we appreciated. This was our second visit & I suspect it will not be our last. My Caddy Tip - "Take a buggy to enjoy the views." Favourite holes were the 3rd on the monty and the 8th on 2010. The 2010 experience was fantastic, from the moment you arrive to the time you leave the club house. I found the course to be a real challenge, a little too long for my game. My Caddy Tip - "Enjoy yourself "
Great facilities but the strength was the friendliness of the staff. Every hole on the 3 courses is a good hole. We stayed in one of the lodges. Definitely recommended. My Caddy Tip - "Take 1 more club than you think." Hotel & facilities were excellent. The hotel was very comfortable and plenty of restaurants serving good food at them all. It's better to play the same course twice, as one needs to get the correct line from the tee. It's easy to take the line that appears right, but then find you're blocked out to the green. Buggies must keep the paths, so if your ball is on the other side of the fairway, take two or more clubs when you walk to it. The last 4 holes are particularly tough and if you can manage them in 2 over par, you'll have a good score. My Caddy Tip - "Some of the short holes need the extra club." This was a great golf break with a comfortable hotel. The staff at the hotel were friendly. I loved the golf at the 2010 course, you were made to feel like a superstar by the attention given on arrival. The course is tricky but possible to play if you keep your thinking cap on. It is a course which allows you to have fun but you need to navigate your way round it. I loved the water holes and the uphill and downhill ones. The 15th is a special favourite for me. The 18th is a cracking finishing hole where you have to hold your breath as you attempt to go over the water to the green. My Caddy Tip - "Think before you play." The 1st hole on the 2010 course was my favourite hole because it was the start of a brilliant 2 days. Don't come with any preconceived ideas, and you will be pleasantly surprised. I could not fault anything about the hotel. We were well looked after throughout our stay and the food was smashing as was the service. I would recommend this venue to any golfer. My Caddy Tip - "Club selection is vital." Great course, great hotel, great golfing break. Would recommend to anyone. The hotel was excellent and there was a great atmosphere at the piano bar. The rooms in the lodge were first rate. The golf courses were a fair test of golf and the starter was extremely helpful. The clubhouse was welcoming and the food was very good. The practice facilities were good and the practice green is a good example of the greens. My Caddy Tip - "Ensure you spend enough time on the practice green so you get the pace right before you begin play." Nice touches on 2010- balls on range, personalised market and clubs cleaned. We found the resort hotel and its services excellent. The golf courses are fabulous and would suit all abilities. A buggy is a good option for all 3 courses but I'm lazy and like beer. The food is also top notch. My Caddy Tip - "Enjoy the view and the company. Life is too short to be worrying about bad golf." Played Roman Road and Montgomerie. Good tests of golf and in good condition. Accommodation was good too. Dinner was ok, but pricey. 2010 course was excellent- not too tight off the tee but you had to be very accurate playing into the greens. Course was in excellent condition. Next time I would walk the course as the buggy paths are too far away from the course. Hotel was very nice and had excellent service. My Caddy Tip - "Give up some yardage from the tee to ensure you hit the fairway." All courses were completely waterlogged. There was standing water everywhere yet we were still sent out to play. We were given a voucher on the 2nd day but it didn't cover cost of green fees on returning, Restaurant was nice but pricey. Hotel was ok, but nothing to get excited about. I would eat in the grill at night. Did not like the buffet. 9th hole is long but rewarding. Great for long hitters. My Caddy Tip - "Good course management at all times." My only issue with the 2010 course was the speed of play. It took over 5 and half hours to play. My mate had to leave on the 16th as he has to go to work. Hotel was fabulous and the course's were great. Tough for me only playing off a 36 handicap. Would go back again. The 2010 course was fantastic, with a number of great holes. Both Montgomerie and Roman Road are also both good courses with some memorable holes. All brilliant holes and you need your thinking cap on. My Caddy Tip - "Extra club for the wind." Very tough course for the higher handicapper. The accommodation was extremely poor- dirty worn and low grade. The reception staff showed no interest. The 2010 course was so wet, it was nearly unplayable. The buggy was useless as the buggy path was so far from the playing area. Rain on the second day so the course was closed. Would not think of recommending Celtic Manor to anybody. Course is a challenge, weather is the only thing that can detract from this venue, great resort. Favourite hole is the 3rd on the Montgomerie. Stunning views over Usk valley, 600+ yards down hill. My Caddy Tip - "Be prepared for a long walk to the 1st on the Montgomerie." Montgomerie: very hilly, played with two members who guided us round, otherwise we would have struggled to place our shots in the right areas. A very slow round, 5 hours. Roman Road: more difficult, greens very tricky. Both courses were very busy, my wife and I had to play as a 4 ball - not ideal, but all players were in 4 balls. Hotel and restaurant were both excellent. In contrast to other golf resorts that we visited on the same golf tour, every member of staff that we encountered during our stay was friendly, helpful and wanted us to enjoy every aspect of our time at Celtic Manor. We would definitely recommend playing all three courses if you can spare the time, and are prepared to pay the extra for TwentyTen. Courses were good, although Roman Road is close to the road and I found this to be not so enjoyable as the Montgomerie course. Unfortunately the meal and service at the 2010 restaurant was not good, but the manager did speak to us personally and offered us a glass of champagne as an apology. My Caddy Tip - "Make use of the practice putting area." The offer we had was incredible value. The staff were so lovely everywhere- the hotel reception, the bar, the breakfast waiters and waitresses and the golf staff. Well done to everyone and thank you. Both courses were immaculate. They were a great test of golf to any handicapper. I like the 3 courses. My tip is to enjoy yourself, don't beat yourself up if you make a mistake. The hotel is 1st class. Great food, spa and a farewell breakfast as good as you'll get. All 3 courses were great! Staff on the courses and club houses were very informative and very helpful. The hotel we stayed in (The Manor) was disappointing and we had issues with some of the staff taking money off my card without my authorisation. Buggy expensive, but essential. Food in the self service restaurant was very ordinary. Hotel great, organisation great. The 2010 course is difficult for high handicappers. Well worth the trip. Great value. My Caddy Tip - "Relax"
Played 2010 and Roman Road. 2010 is cruel- some shots appear great but the shaved banks and run-off areas can give a harsh outcome. Thoroughly enjoyed it and want to play it again. It does take time though and having to stick to buggy paths is a pain. I would probably walk next time. Roman Road was quirky and would also like to play again. My Caddy Tip - Be conservative first time out." All 3 courses will test any player. My Caddy Tip - "Fairway play and putting on greens are key to these courses." Fantastic venue with the atmosphere to match. To play where the big boys have been really shows how good they are. Wonderful layout and views. Most memorable. My Caddy Tip - "The middle of the fairway is essential"
Twenty Ten course was fine, but the others not so good. We played Roman Road and Montgomerie and there were some nice holes and a couple of quirky/blind holes. Hotel was nice, bar food was expensive, but nice pubs locally. Hotel was great, and it is much cheaper to stay with your golf travel booking than booking direct. Great venue, everything about the place is immaculate. The Roman road is a good test of golf too. Bought this as a gift for my mother for mothers day. Me and her played the golf and then my father stayed the night with my mother. Course was great and my parents said the hotel was 1st class. Definitely recommend the Celtic manor. From the moment we arrived, the service provided by the staff in all areas was exceptional. The organisation was first class and the golf courses in pristine condition. My wife, who plays off 30, and myself both found all 3 courses an interesting challenge and particularly enjoyed the personal experience and excitement of the 2010. Room in the hotel was smashing, some fine bars and the course club rooms and the restaurants had a fine choice of quality food. The choice of food at breakfast was second to none, and really set you up for the day. We had a really great time, thank you. My Caddy Tip - "Warm up on the 2010 driving range before you go to the first." Great course. Very challenging but good fun. Unfortunately the hotel room was very warm overnight and I was unable to turn it down, which made for two sleepless sticky nights. We've played both the Montgomerie and the Roman courses. Personally I prefer the Montgomerie because there are some very scenic holes, a handful with spectacular views. However I'd advise anyone playing the Montgomerie, at least to take a trolley and better still to take a buggy. Some of the green to tee walks are very hilly. Overall Celtic Manor is a wonderful golf venue and the best testament to this is that my golf group, who usually never return to the same courses for our annual trip, have now been back to Celtic Manor for three successive years, and planning a fourth in 2016. The 2010 course at Celtic Manor is a 'must do' experience for keen golfers. Expect it to be tough though! We found the main hotel to be very busy and were pleased to have reserved a room in the annexe which was much more peaceful. 20 of us played 2010 & we all thought it was brilliant. All played Monty & as expected it was not as good as 2010, but still very good. Hotel and staff were excellent. Would look forward to returning. The Monty 3rd hole was brilliant. Hotel was top class. Tip for playing- just enjoy it. My Caddy Tip - "Go when it's dry." On day one 20 Ten treated us like visiting professionals. Good experience playing the Ryder Cup course but not easy and a buggy helped. Hotel and restaurants super. Try dinner at the Rafters. Both Manor and Resort comfortable hotels. Montgomerie and Roman Road good test of golf. Staff across the resort friendly and helpful. My Caddy Tip - "Take enough golf balls and enjoy the experience. " 17th hole was a great par 3. Make sure you carry plenty of spare balls. The hotel was 5 star. My Caddy Tip - "Stay on the fairway as the rough is penalising." People with buggies take twice as long from buggy to ball and then don't have the right club when they get there. Extremely slow and when we played the courses they were not up to standard. I think there is too much hype surrounding the courses. My Caddy Tip - "Take wellingtons." Plays on its name and is very busy. Suffers from fog due to its location. Although, the greens are good there are far better courses out there. My Caddy Tip - "Go at the pins." Really nice complex, hotel was nice with plenty to do. Rooms were nice and spacious. Courses were wet when we played them, still in good nick though. Would like to go back soon when weather is better. My Caddy Tip - "Plot your way round"
I have been to Celtic Manor three times in small groups and think it is the best value for money resort. The staff go above the expected standard of service, the rooms are more than comfortable and the hotel is very restful. All 3 courses are challenging to the average golfer but I would not recommend a buggy. More trouble than worth as you have to stick to the paths and end up walking further. The hills on the Monty are very challenging for the not so fit. Going back next week. The Ryder cup and Roman Road courses where excellent and tough. We should have pre booked our restaurants. Our only choice was the buffet, and that wasn't that great, but that was our own fault. Drinks at the hotel are typical of any venue miles away from another bar, so we budgeted for this. My Caddy Tip - "Go for it"
Hotel and staff are amazing. My Caddy Tip - "Practice putting greens are lightning quick." Par 5 on the Montgomerie overlooking the 2010 course was amazing. Great views. Found the course fair, with some very hard holes and some easy ones. A fantastic venue for a golf break and the hotel is very good. My Caddy Tip - "Make sure you have a practice round." Just play the course and don't try and beat it. Also, when it says it's 150 yards to the green its to the front of the green, not the middle. My Caddy Tip - "Just enjoy it "
The hotel is stunning and both the Montgomerie and Roman road courses are tough but fair. You might even get lucky with the weather. The Monty is my favourite with its dramatic elevation changes and it's always in tip top condition. The Roman Road has undergone some changes from when I first played there, but it hasn't done the course any harm. Everyone is friendly and helpful and I look forward to returning soon. My Caddy Tip - "Buy a course planner for your fist round. It will pay for itself." Roman Road was in nice condition. The Montgomerie was spoiled by traffic. It took four hours for nine holes so we walked off, back to the warmth of the jacuzzi. Buggies extortionate and a necessity for both courses. Hotel accommodation was great. Room was great, the spa was awesome, and the staff couldn't do enough for you. Evening meal at the hotel was a let down. Poor selection and quality, won't stay for the buffet again. I can only assume the a la carte menu was much better. All in all a pleasant stay but won't play the Montgomerie again. Celtic Manor provides all you could want in a golfing venue. Stay at the resort if you can, rather than the older, but still very nice Manor. The Manor was once a maternity home and is steeped in local history so you'll still love the experience. The 2010 experience is fantastic; the course may not be the most beautiful you'll ever play, but remember who did what and where and you'll have a thrilling time. The other courses are very good; have a buggy for Roman Road. Many GPS devices are wrong on all 3 courses. Take a laser if you have one and buy a course guide. My Caddy Tip - "Be long rather than short when hitting into 18 on the 2010." Although the Welsh weather was not kind to us, we still had a great time at the resort. It offers great value when compared to other venues around the UK that have hosted big events. For anyone who went to the 2010 Ryder Cup, playing the 2010 course is a must. It's amazing how many shots you remember seeing and how few you are able to recreate (other than the Mahan duff on 17!). Beware: The 18th hole is a very tough test on a wet day when playing into the wind. My Caddy Tip - "Play within yourself. Play safe to hit fairways & avoid the long rough at all costs." None of the courses lived up to my expectations. Super courses. However, did not play main course as we played the week before the rainy Rider cup. Hotel was fab but we had upgraded to the main hotel and not the golf hotel. Really super facilities, food and golf for 2! My Caddy Tip - "Don't carry on the Montgomery unless you are a Billy Goat. " You need a buggy for the course and green to tee is a very long walk. 2010 was a great course. My Caddy Tip - "Don't go left"
The 2010 course was tough. Great facilities, and both the Mongomerie and 2010 are great courses. Hotel was fine. Room was well appointed and very comfortable. Beer prices towards the upper end as you would expect but not up to London levels. Good breakfast with regular hot additions to the self-service buffet. Some significant walks available within the hotel itself! Strongly advise buggies as green to next tee, particularly on Montgomerie as it can be long and very steep! Great views and pretty good courses in good condition. My Caddy Tip - "Look for another caddy." First tee of Montgomerie was long and had a dog leg keep so if you go down the middle, you have to smash it. Hotel great, Manor House OK. I lost a golf club out of my bag after the staff put my bag out for the next morning before we teed off. My Caddy Tip - "Just keep it straight, no need for trying to hit the skin off the ball, just play within yourself." The Celtic Manor Resort was brilliant, they can't do enough for you and really make the effort to make your trip enjoyable. Great value for money and highly recommended. My Caddy Tip - "Don't miss the fairways." The 2010 course was a great experience. I found it great to walk rather than take a buggy. You have to think your way round the course as every hole has its own challenge whether it is lots of bunkers (2nd hole) or water, hills, slopes etc. Great halfway house and was very welcome at that point of the round. 18th was great as it was a challenge to land on the green and not roll back into the water or not over hit it and put it in to one of a number of bunkers. Clubhouse was great and had a great balcony to watch others attempting the 18th. My Caddy Tip - "Think about what is in front of you and be realistic about the distances you can hit the ball." On the 2010 course all the holes had there own problems. A good test of golf apart from hole 15. Played the Montgomerie with a buggy, but didn't realise you had to stay on the buggy track all the time, which was a bit of pain. Hotel was good, breakfast was marvelous. Practice facilities were superb. However, the courses were really busy, and the rounds were slow. My Caddy Tip - "Placement off the tee is key." The hotel was great. 2010 booking in. All round service is exceptional- 5 star. Must visit and will again. Loved the course and loved the hotel. Would love to do it all again. My Caddy Tip - "Don't go for the green in two at 18." Great hotel with 3 fantastic golf courses on the doorstep. My Caddy Tip - "Practice long putts before you go." Pre-booking of meals is a must. Montgomerie was a big surprise. 2010 was a little disappointing. Roman was as expected. My Caddy Tip - "Buggies are a good idea." Roman Road was my favourite course. My Caddy Tip - "Take an iron"
All golf holes where great. Hotel was very nice. My Caddy Tip - "Enjoy your round." All three courses are a challenge but 2010 is something special. All the staff go out of their way to make it a great day. Nice touches with your name on the lockers and a bag tag. My Caddy Tip - "Think your way round and make the most of your handicap." My Caddy Tip - "Pack it light!" Resort hotel was great and so were the facilities and breakfast. Going back in September to play the twenty ten course. My Caddy Tip - "Walk the course in advance." Play all three courses if you get the chance, as all are different, whilst still being challenging and in excellent condition. I preferred the main hotel, although restaurants in the Manor were good. Although I usually walk, I suggest you hire a buggy if playing all three courses, as sometimes it is a long walk between green and tee. This is Wales, so come prepared for rain. Clubs are well looked after by staff and will be dry ready for the next day's play. No drying facilities in rooms though, so bring 2 pairs of golf shoes. My Caddy Tip - "Practice your short game before playing." Played the Montgomerie and the 2010 and was really impressed. The Montgomerie held some stunning views and was in really good nick. The whole experience on the 2010 was worth every minute of the drive down from London. From the meet and great at the hotel all the way down to the use of the practice facilities and then the post round reception including club cleaning, made you feel very privileged. Course was in top condition and brought back great memories of the Ryder cup. Great stay in Celtic Manor. 2010 course was great and we were lucky with the weather. Roman road was very wet, but it was to be expected for November. Hotel and Spa were great and I ate like a pig in the restaurant! Outstanding place to spend my 40th, all three courses were great but the TwentyTen course was brilliant. The service of the staff was excellent and the little touches really made a difference- having your clubs ready each morning, little souvenirs and any request was catered to. My Caddy Tip - "Take a buggy on the Montgomerie course." Off my handicap Montgomerie was the most suitable, but all were a good knock and it would be no hardship to return. The place was being done up so there was some disruption but it didn't affect the overall enjoyment. Unfortunately, the weather was not too kind so the courses were not at their best. Very good value for the money paid and intend to return. My Caddy Tip - "Always look to leave the ball on greens with an uphill put." Great venue for both golf and leisure activities. All the wives and girlfriends raved about it all. The staff were very efficient and helpful during our stay and dinner on both evenings was superb. 2010 course was as good as last year and a great test. Will be back. My Caddy Tip - "Enjoy the views and don't get upset with your golf." A very long course with some interesting holes, particularly towards the end. Great hotel and pro shop. Helpful staff. Would love to play it again in better conditions. Loved the 2010! Great customer service. My Caddy Tip - "Stay out of the rough." Ensure you buy a course planner to plot your way around the course. My Caddy Tip - "Greens are very fast and slopey." They close the courses and stack you up on the ones they keep open. If you are a 2 ball you will be paired with others. My partner was taken ill on the 1st hole of 2 days play. He approached the pro who took his details but gave no offer for playing at a later date. Breakfast was terrible, like a motorway service. Couldn't fault the place. Hotel on scale with a large Vegas hotel and impeccable service. Course is as tough as you want to make it, as they have numerous tee box positions. My Caddy Tip - "Club up 90% of the time, huge greens." Every interaction with the staff at Celtic Manor was abysmal. They really don't care about the customers. The Montgomerie course is terrible- an amalgamation of an old course and a par three course- with walks between green and tee like you wouldn't believe. The pace of play on the Roman Road was so slow that we walked off after 9 holes. No one should go here. Ever. Golf great, staff great. Buggies are not allowed on the course so will slow up walkers due to 90 D rule. Hotel was good but restaurants close early if your playing twilight. My Caddy Tip - "Greens are always very fast." This being the 16th stay should in itself speak for the venue. Certainly has the wow factor- a great experience and a must do for all. Hotel & facilities were first class, Montgomerie course was a good test & varied. Roman road course wasn't quite as good. I would still recommend Celtic Manor to all though. My Caddy Tip - "Take lots of balls." Manor House hotel was great, nice friendly/helpful staff. Preferred the Roman Road to the Montgomerie, although both courses present challenges to both the low and high handicapper. Overall a great experience and we are going back in October. My Caddy Tip - "Greens are testing, so take the opportunity to have a practice putt." This venue has it all- great golf, accommodation and food. My Caddy Tip - "Enjoy." Roman Road was brilliant and an underrated course. 2010 was extremely difficult in the wind. We had a high wind that almost killed the game for us. My Caddy Tip - "Assume 2010 will dismantle your game and just enjoy the experience." Had a great time. Well looked after. The hotel is excellent. Courses are stunning. Will go back. My Caddy Tip - "Take a full swing out of every bunker." I played the Montgomerie on the 1st day followed by the 2010 on the 2nd. Both courses were fantastic to play, and although there were some holes beyond a mid-handicaps capabilities, it was fantastic fun trying them. My personal favorite hole was the 10th on the Montgomerie, suits a nice draw. The hotel was very comfortable and the food and bars were excellent. My Caddy Tip - "Use good course management." Next time we go I would play the Montgomerie course and 2010 course. Roman road was not one of the best tracks I have played. My Caddy Tip - "Try to hit long." Absolutely amazing place, from the hotel to the courses. I can not wait to return to play the 2010. My Caddy Tip - "Definitely need a buggy on Montgomerie." Fantastic course. Great service all round. Definitely will return. The Hotel was fabulous with excellent facilities. The Roman Road and Montgomerie Courses are good, solid resort courses and while they didn't blow my socks off, playing them on such an affordable stay & play deal is well worth the money. The Twenty Ten Course is definitely the highlight of any trip to Celtic Manor so even with the added cost in mind, I'd recommend golfers give it a go at least once. The whole "member for a day" experience is built into the cost and makes your day a lot of fun. My Caddy Tip - "Please book a buggy for us to use. I don't fancy some of the walks between various tees and greens, especially on the Montgomerie and Roman Road courses!" Lovely hotel, golf courses rubbish. My Caddy Tip - "Don't let anyone use buggies." Shame it was so wet, otherwise I would have enjoyed it more. Use a buggy on the Montgomery course. All very good holes except the 15th- making it a very short drive-able hole through the woods has spoilt it. My Caddy Tip - "Beware, run off areas by the greens." Great place, top class, great course. My Caddy Tip - "Know how to play in the wind." 2010 is a great championship course. The other two are great parkland-type courses with a few spectacular holes. The resort is fantastic for a golf holiday- three courses in one venue and ample practice facilities. Easy to get around with the set up at the hotel and some excellent restaurants. I played Roman Road and Montgomerie on my first visit and wished I had included the 2010. 2nd time I played the Montgomerie and 2010. It's definitely worth playing if you're a <15 handicap. My Caddy Tip - "Play the 2010 in any holiday break." You are treated as an important guest from the very first moment you turn up. Clubs taken and cleaned, car parked for you, all facilities shown and explained. You even get your own locker with your name on it. The hotel was also fantastic, but we went out to eat at a local pub. Great Brains beer and good value food (Hanbury Arms). £6 taxi each way. I'd thoroughly recommend visiting Celtic manor, but now I've done the Twenty10 course I wouldn't go back as I want to try other flagship courses. My Caddy Tip - "Have a go at 16." We would be interested in a night away, our friends are not golfers but wouldn't mind a night away if the price is as you say! (Retired Scots). We stayed there last year and it was a very nice venue. My Caddy Tip - "Keep the ball on the fairway,"
Went early in the season during April. All three courses were a pleasure to play. Definitely worth the trip down from the North West. If you haven't been don't hesitate. It's golfing heaven! My Caddy Tip - "Make sure your battery is fully charged for the Montgomerie course. " Nice hotel and nice meal. Courses a challenge and in excellent condition. Would've liked to see more water hazards (Montgomerie & Roman Road) and some can feel a bit samey. Service was exemplary. Rather annoying having to rigidly stick to paths in buggies. However, I guess this helps to keep fairways in good nick. Though sometimes, if your unsure, you have to trudge over to the other side of fairway holding four clubs to get your ball. Venture into town for a bite. Lovely pubs about. My Caddy Tip - "Putting is key"
I thought the Montgomerie was a great course, but the Roman road needed some care. Overall though, a great golfing experience. Hotel lovely, buffet was average and busy, Montgomerie course was a nice play. My favourite course is the Roman Road. Definitely get a buggy for the Montgomerie. Hotel great for non golfers as well. My Caddy Tip - "Make sure you have a practice putt." Good but a bit crowded. Had a great round of match play, going all the way to the 18th. My Caddy Tip - "Go for it on 15, you only live once." The whole experience was excellent from arrival to departure. The staff were completely helpful throughout and should be commended. The golf was good too. My Caddy Tip - "Be careful of over hitting on the second (Montgomerie Course)." Hotel was great, and the course was challenging with the weather condition. The personalisation of the trip was great- personalised locker and ball makers. Great course, venue (hotel) not so great. My Caddy Tip - "Stay out of the rough"
We had a fantastic time at Celtic Manor and couldn't fault any part of the trip. The organisation and ease of booking offered through yourgolftravel means we will definitely use you guys again! The golf courses were very wet following the recent rain but were still in good condition and certainly very playable. The Twenty Ten experience is one that we will remember for a long time. The tour of the clubhouse and Ryder Cup team rooms was a nice touch as were the free range balls and club cleaning after the round. Nothing was too much trouble for the staff who were always on hand to help. The hotel is truly 5 stars too; a real touch of luxury and I might even be forced to take the wife next time! Overall the trip provided good value for money but be prepared to pay out for food and drink as it's not cheap anywhere within the resort. If you want a few drinks take advantage of happy hour at the Cellar Bar (17:30 to 19:00)! We returned from our Celtic Manor golf break last week and wanted to say thanks as the break was excellent. The venue and rooms were sublime, and the course itself was simply fantastic. It was a lovely experience and everyone had a great time at Celtic Manor, so thank you for helping to make it happen. If you have any other deals for next year that you think we might be interested in, please so send them through. We played the Montgomerie and the Twenty Ten on our golf break to Celtic Manor and both courses have a fabulous layout and were in great nick. The 3rd hole Par 5 on the Montgomerie is one of the most beautiful holes I have ever played. Superbly framed by tall trees either side off the tee, then as you get down the hill you get the views of the valley and of the Twenty Ten Course; simply breathtaking. The Twenty Ten is also brilliant. The holes with water are just visually amazing and also a great, tough test of golf. The greens were extremely receptive yet still nice and quick to putt on. Very welcoming in the Lodge after the Montgomerie and the 2010 clubhouse is superb too. We loved the Ryder Cup changing rooms! We stayed in the Manor House and the rooms were top drawer, with great service and an excellent buffet dinner in the Olive restaurant; so much choice and all delicious. Overall: 9.5/10...Celtic Manor is right up there with The Grove; absolutely top class. YGT were brilliant and our golf break was a bargain. We will definitely be using you guys again. We had a great golf break at Celtic Manor so thanks to YGT! The weather was kind and the service offered by your company was second to none. We were blown away by the resort on the whole. Our bedroom was huge with a balcony overlooking the Roman Road’s 15th hole and the standard of the service in the hotel was fantastic. All the golf courses were fantastic with the Twenty Ten in particularly good condition ahead of the upcoming Welsh Open. We will certainly be returning again and would recommend Celtic Manor to anyone along with YGT or course! We had an absolutely great time at Celtic Manor and could not have been treated better from the minute we arrived until we left for home; absolutely first class. I will have no problem telling friends to go here on future golf breaks and also to book with Your Golf Travel.